A spring in the coupler that holds trains together wasn't as strong as it should have been when a Green Line train's cars detached earlier this month, Metro said. 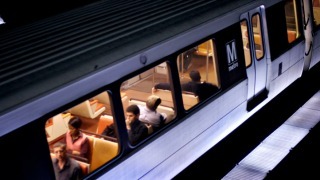 Metro is checking all of its railcars and recommending periodic tests of coupler units. The separation of about a foot and a half near the Navy Yard station stranded passengers for at least a half hour the morning of Jan. 6. A Metro crew recoupled the cars as passengers sat on board. The train then moved into the Navy Yard station and was taken out of service, and passengers waited for another train.